Author and photographer Jerry Park clocked many miles crossing the state in his Ford Flex while working on his book Slow Roads Tennessee: A Photographic Journey Down Timeless Byways. Some roads were good, filled with charm and beauty. Others, not so much. But no matter how old or unmaintained the road, Park never found one worse to drive on than the bypass near his own Richland neighborhood – I-440. “It’s the worst road I know of,” Park says. “I do a lot of landscape photography and go all over the United States to do it and so I’m around an awful lot of roads. And it is the worst. Neighboring resident Mike Haney, a mechanical engineer who travels outside of the city frequently for work, agrees with that sentiment. “I think it’s one of the worst roads in the state,” Haney notes. “Maybe 40 in Memphis at one spot is equivalent, but they’re doing construction there. 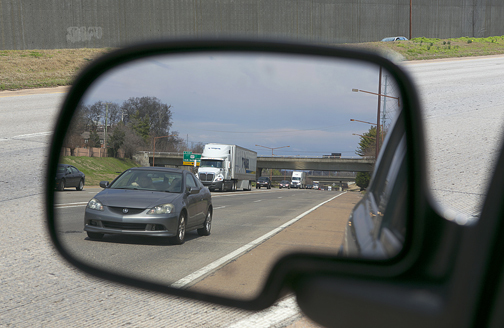 Anyone who has driven on I-440, which runs roughly seven miles south of downtown from I-40 on the west side to I-24 on the east, knows what they are talking about. The difference between that road – which handles about 100,000 per day – and any other in Tennessee is immediately apparent. That’s thanks to the grooved texture that was part of a 2009 rehabilitation project to improve safety conditions and help preserve the aging concrete that was already past its prime. “Over time that concrete just, for the amount of traffic that was travelling on it, got polished,” says BJ Doughty, Tennessee Department of Transportation’s director of community relations and communications. That grooving and texture in the $8 million dollar rehabilitation project (almost double its initial $4.3 million estimate) is called diamond grinding, a pavement preservation technique that removes surface irregularities, as well as filling some joints in the concrete pavement. “Modern pavements have a texture to them that is grooved,” says Paul Degges TDOT Chief Engineer. “What we did on 440 in 2009, we went in and actually used a saw and cut grooves that are parallel to traffic flow. We worked with the concrete industry to try to find some ways to improve the skidability on the roads. 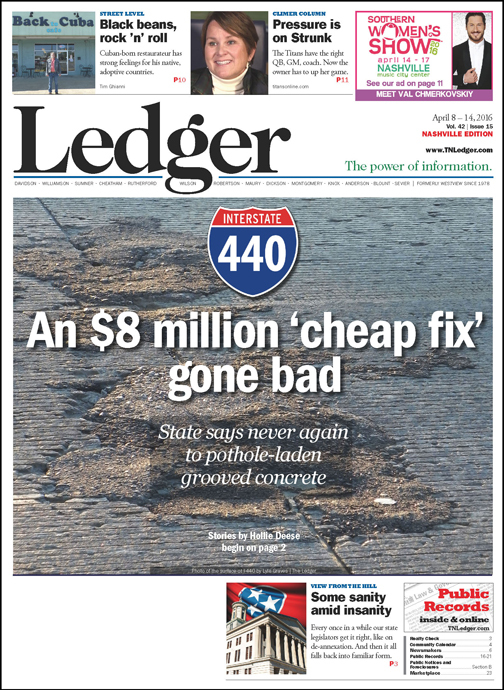 Ride along on a video tour of I-440's worst section, I-40 to 21st Avenue, with the Ledger. As Assistant Director of Construction for TDOT, Jay Norris is an asphalt and concrete specialist who says the grooving was meant to act as miniature gutters to assist with the draining of water from the roadway as well as smooth the surface following the substantial concrete repair project. “They give the water somewhere to be that’s not kissing that tire on that road. It helps mitigate hydroplane,” Norris says. “Safety is very important to us. The durability of our pavement is very important to us. We took this economic approach. It was cheap, but it addressed texture, it stopped hydroplaning and there were possible noise mitigation benefits from it. A 2012 article that ran in the Pavement Preservation Journal details the rehabilitation process TDOT chose, called concrete pavement preservation with full-slab replacement. Less expensive than pricey asphalt overlays, big slabs of concrete were replaced and the 350,000-square feet of diamond grinding and grooving done afterward was meant to require no further maintenance for 12-15 years post completion. But it doesn’t seem that what was promised actually worked out that way. “There were very few roads built in Tennessee during that vintage that were concrete,” Degges says. “The earlier concrete that was built in the 60’s and 70s has all been pulled up and either replaced with concrete or asphalt. The stuff that was built after that, we haven’t had to do anything yet. Doughty says even though they had hoped to see some life-extension of the road the reality is 440 was already nearing the end of its use, and cost was a big factor in choosing this option to begin with. “When it comes down to economics, we don’t have the money to do everything we’d like to do,” she says. Councilwoman Kathleen Murphy, District 24, says in an email she has only had one person complain to her about potholes on I-440, but Haney, who drives it every day, says they are jarring to say the least. Degees says research done before the project began indicated drivers would experience a sensation from the grooves – more pronounced in smaller cars - but there would be no impact on safety. About 100,000 cars a day test I-440’s obsolete concrete roadway. Grooves were cut into the surface in 2009 when it was already two years past its lifespan. The “cheap fix” has not been successful. “I was hoping to get a product that would last a whole lot longer,” Degges adds. “Truth be told, I think if you look at 440 now it’s potholed to pieces. One possible reason Haney thinks the road is crumbling sooner than anticipated is the series of harsh winters that have hit the south in recent years. Low temperatures means water running through the grooves has a chance to freeze and do some damage to the material. “Water gets in these grooves and gets in the cracks and expands and busts up the concrete and that’s what causes potholes,” Haney explains. The other reason the rehabilitation is not holding up is just the sheer number of people driving on the road. Park moved to Nashville from Atlanta 30 years ago and compares what is happening with Music City traffic now thanks to all the infill development to what was happening there then. Welch College was located on seven acres at 3606 West End Avenue and sold to Mike Ford Custom Builders of Franklin for $11.25 million last summer. At the time of the sale, Ford announced his company would be planning 21 single-family luxury homes on Richland Avenue and 30 brownstones fronting West End Avenue. The grooved texture was also meant to reduce noise through the surrounding neighborhoods, but Haney says the only time it gets quiet is when cars are at pretty much a standstill – the only benefit of the increased traffic in the area. Degges’ relationship with 440 is a long and sometimes emotional one. As the inspector of the plant that built all of the sound walls between I-65 and I-40 West, he scratched his initials in the top of most of them as his inspection mark. “I cut my teeth on construction projects and that was one of them,” Degges says of 440. His father was also a civil engineer who worked for the Federal Highway Administration. 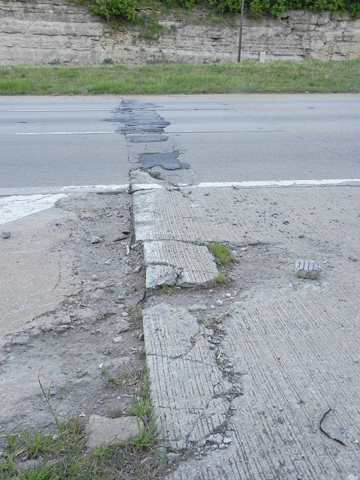 The concrete surface of I-440 seems to deteriorate fastest where slabs intersect. This intersection, beneath the Long Boulevard overpass near Centennial Park, will likely soon be patched with asphalt. His family moved to Nashville in 1969 when Degges says 440 was in the midst of a big lawsuit because 440 was designed and right-of-way purchased for a different product than was actually built. “We actually bought the right of way for an interchange at Granny White Pike that was never built,” Degges explains. TDOT eventually won the lawsuits by showing the project was in the public interest. Construction finally started in the late 70s, and I-440 finally opened to the traveling public in 1987. While the potholes are a problem, what drivers should really be worried about is what happens next for the aging interstate that has already lived far past its prime. Norris says there are still some safety issues on I-440, including median crossover accidents, and a $6.1 billion dollar backlog of state road projects doesn’t even include the bypass. The concrete Degges says was initially designed to last about 20 years is now 29 years old. There have been a few substantial concrete slab replacement projects over the last decade, and grooving helped extend the life of the concrete. But now the entire roadway is in need of a complete rehabilitation. A project is currently in the development phase, but the many things have to happen before it moves forward, including determining what is financially feasible. A project with all the bells and whistles would include adding through-lanes where there are currently drop offs as well as addressing median and lighting issues. Another option would be to spend considerably less, around $30-$40 million, for a scaled-back pavement project with some safety improvements. But Degges knows the public is going to expect some big changes with the kind of disruption any roadwork on I-440 would present. 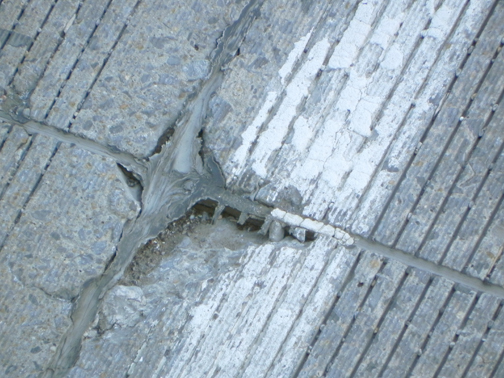 Grooved concrete crumbles alongside patchwork asphalt repairs at the Murphy Road on ramp to I-440. “You hate to put the public through a difficult construction project and then, when the project is done, they say, ‘Well, the pavement’s smooth, but this is what I had before,’” he explains. One of the biggest cost factors will be determining which material to use, concrete or asphalt. Degges says there is a tradeoff that will take a lifecycle cost analysis to determine which is best when it comes to 440’s rehab. Asphalt is cheaper in the short-term, but concrete lasts longer. Asphalt also is easier to repair but it must be repaired more often. “There are trade-offs between the two, and we use both of them in different places, but one of the issues with concrete is when it gets to the end of its useful life I can’t just take a milling machine and mill it up,” Degges explains. TDOT also will need to come up with a solid plan for moving the number of cars that travel I-440 every day. When the repair work was done in 2009, only a quadrant of 440 would close at a time on weekends, and the hope is something similar could be done again. “One of the things that the business community tells us is from an economic impact standpoint, if you can get in and get out in a hurry, it has such a huge benefit,” Degges adds. One thing that will definitely not happen is an interchange at Granny White Pike, despite local rumors related to that initial proposal placement of 440. “We have no plans to do that,” Degges says. The problem with getting things moving on any improvement at all though, is finding the money for it. “Since we are in the midst of some discussions about how transportation is funded in Tennessee, I am asking my staff to explore the more in-depth project that I think will better serve the growth in Nashville, but I also have to keep in mind I’m going to be at a point in the next two years or so where I’m going to have to do something about the pavement,” he says. Because of current spending issues when it comes to transportation Degges is in a planning holding pattern. “Do I just go ahead and pull the trigger and fix the pavement or if I wait just a little bit, there might be an opportunity for us to do a project that the benefits are much larger than just fixing the pavement?” he says. Still, as bad as 440 is Park shudders to think of the alternative.